It’s time for another virtual tour around our kitchen, following the ever-growing crowd of bloggers who participate in the event launched by my dear Celia, from Fig Jam and Lime Cordial. As usual, I like to start my posts with gifts, and they are very special this time! By far the best caviar we ever tasted… smooth, very delicately flavored, not at all fishy. Perfect texture, a real delicacy! 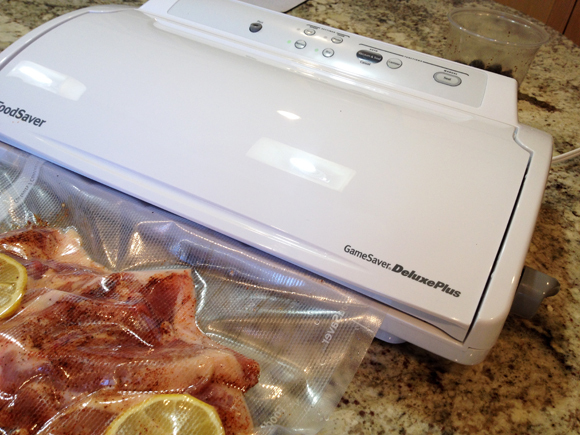 The vacuum sealer we had for over 10 year died a painful and loud death a month ago. My beloved husband gave me a new one so I can go on with my sous-vide adventures without a glitch. And now, la pièce de resistance… From a reader of my blog, who insists on remaining nameless, I received a package by mail. Inside, a bottle of white truffle oil, a nice truffle shaver, and… ready for this? 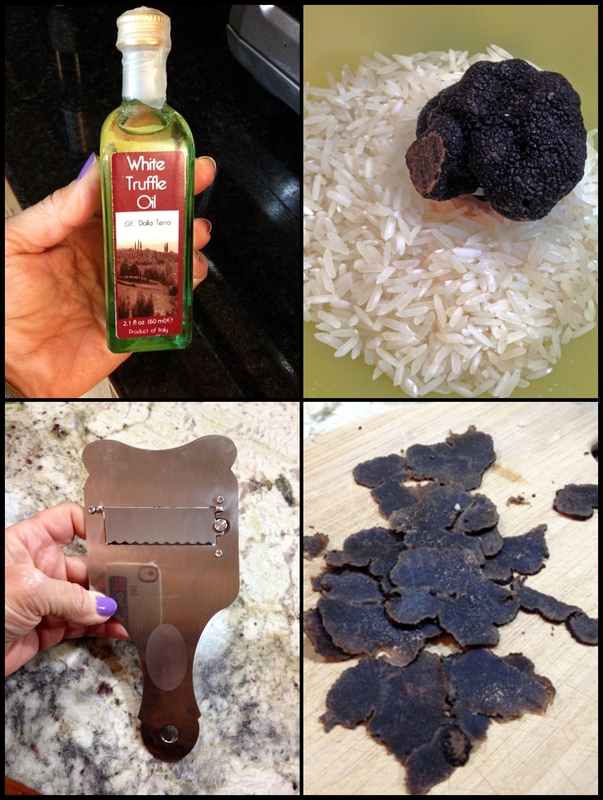 A huge fresh black truffle, carefully packed in rice. Ok, go ahead and hate me, I know you want to. Never in a million years I would imagine such a special gift. Thank you, my secret friend! Of course, I’ll share with all of you soon my culinary adventures with this amazing ingredient. 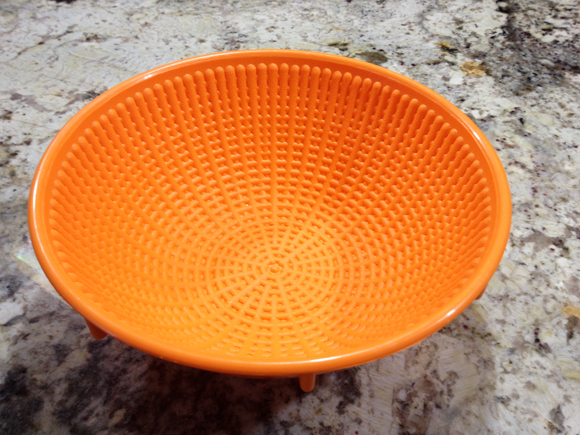 A plastic bread proofing basket, I haven’t used it yet, but I learned from Karen that this type of plastic banetton works very well. The bright orange color is like a burst of sunshine in our kitchen, making me forget the frozen tundra outside. That is a good thing. 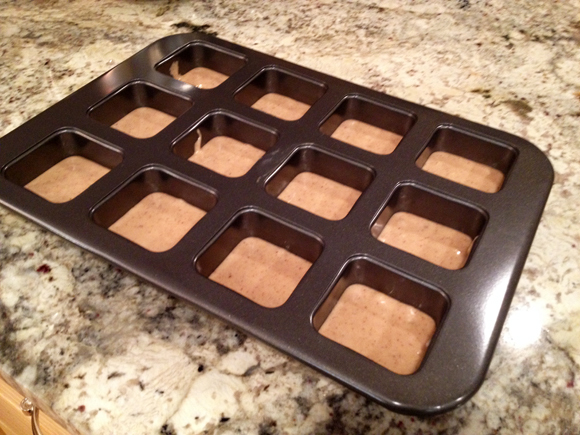 A new pan to bake individual type brownies. Got it at amazon.com, it’s very sturdy. 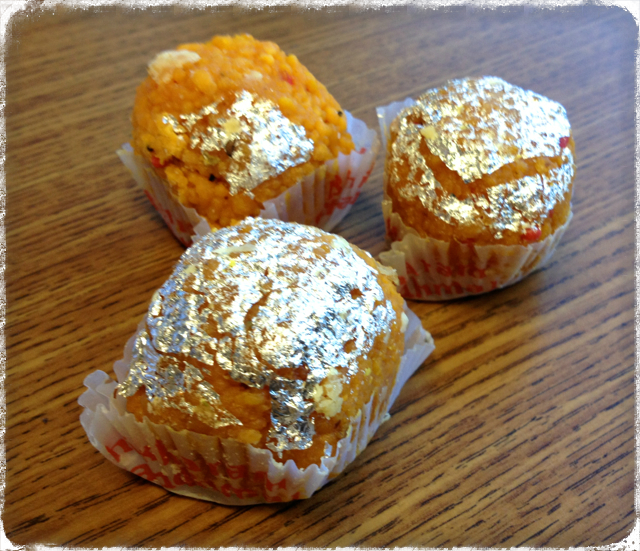 I used it to make a Brazilian delicacy that should be in the blog soon. Stay tuned. 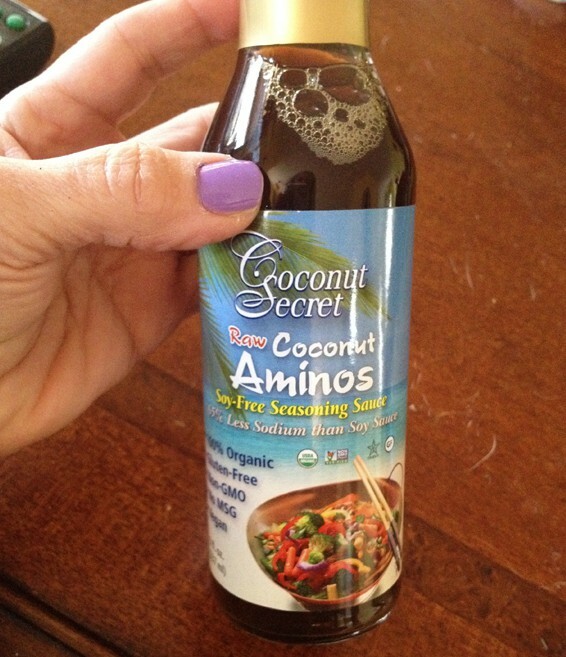 A bottle of coconut aminos, a product that can be used exactly as soy sauce, but it has less sodium, and is soy and gluten-free, in other words, a Paleo-friendly ingredient. 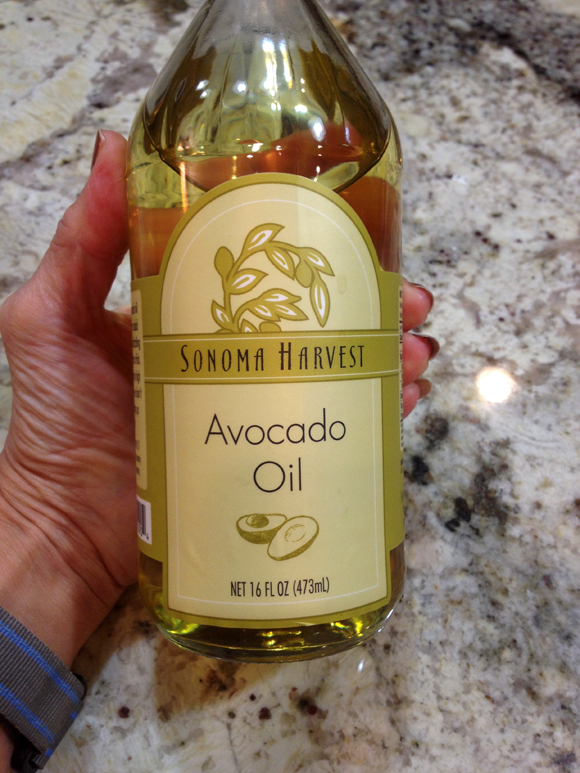 I’ve been flirting with avocado oil forever, finally went for it. Very flavorful, but not heavy at all. Drizzled on top of tomatoes, mozzarella and avocado slices for a Mex version of Caprese, it is delicious. It makes great salad dressings too. 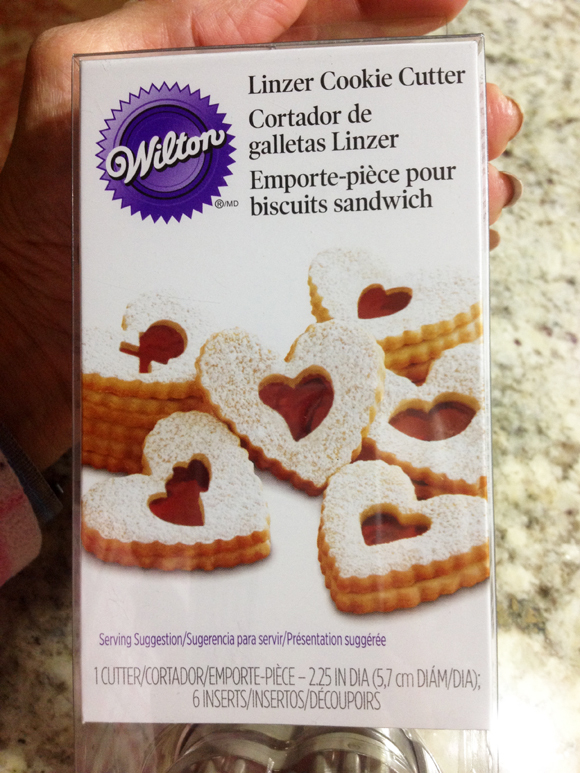 As you might remember from a recent guest post, we didn’t have the right cookie cutters to make heart-shaped Linzer cookies. As Valentine’s products started to show up at our grocery store, I stumbled upon this little box, and of course, had to bring it home. We see Linzer cookies re-visiting our kitchen in the near future! 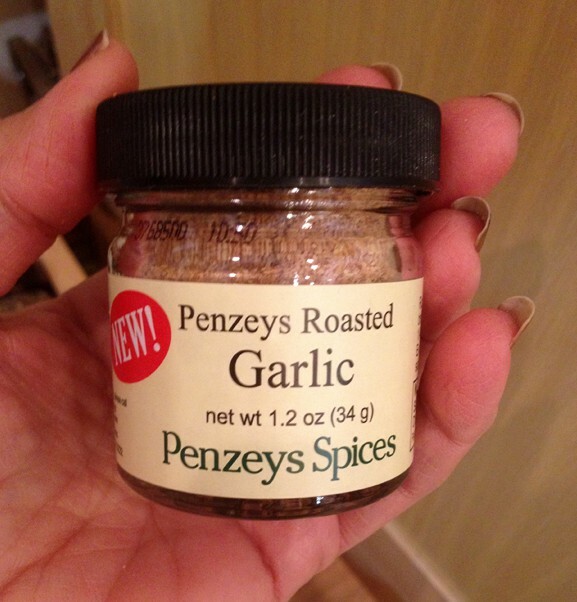 A new product by Penzeys Spices, Roasted Garlic powder. I was placing an order for two of their blends that we use a lot, Southwest Seasoning and Pasta Sprinkle, and the website advertised this newly introduced product. I decided to give it a try. Very flavorful, not too potent, just right. 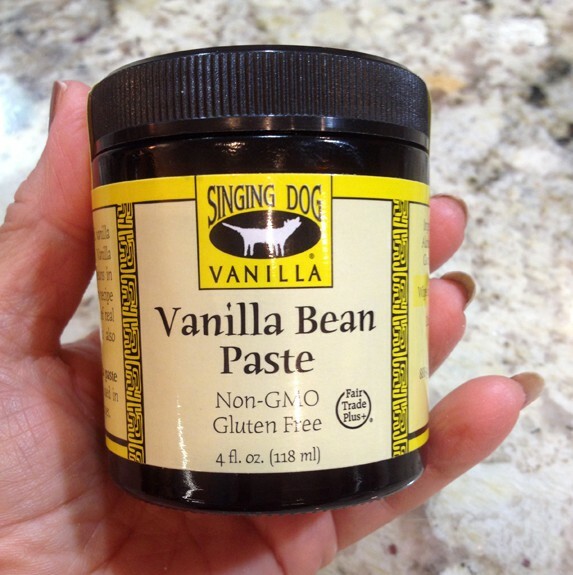 Another product I’ve been flirting with forever, vanilla paste. Looking forward to using it soon. It smells terrific! 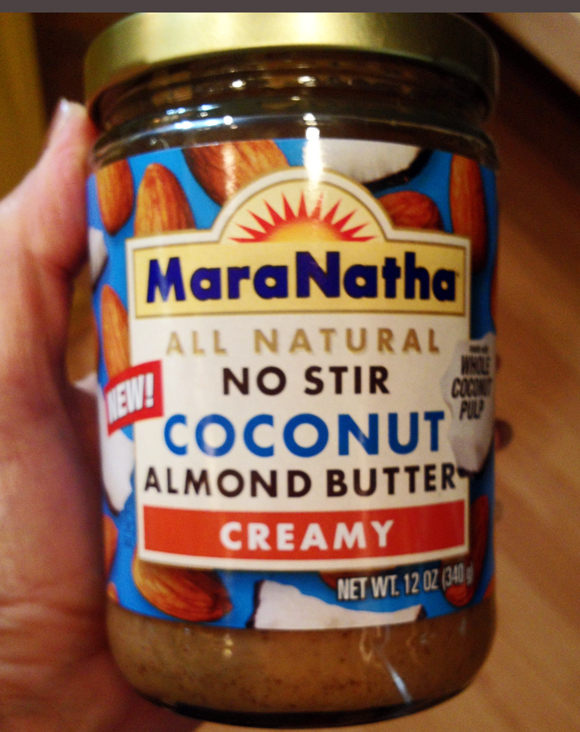 A bottle of almond butter with coconut in it. I have a recipe in mind for this one, it starts with a C and it ends with OOKIE. Can you guess it? 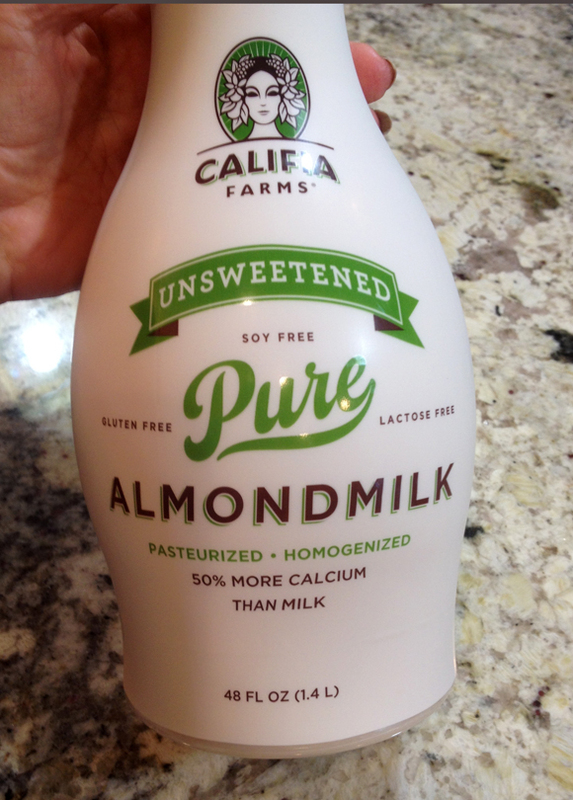 I know that a respectable food blogger makes her or his own almond milk. Not happening in my world anytime soon. 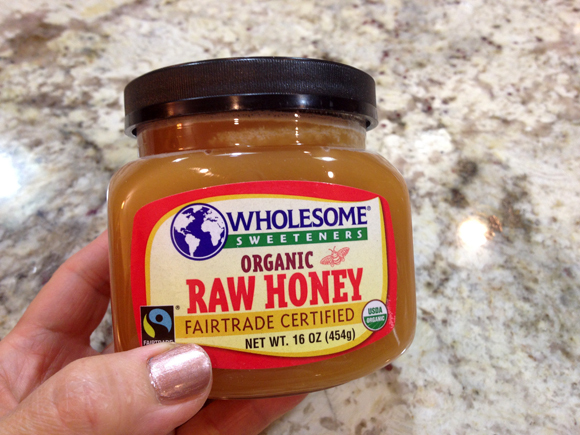 I’ve been trying all sorts of brands, and this is so far my favorite, it seems to be the one closest to homemade, as far as addition of extra ingredients is concerned. Very nice almond flavor, smooth texture. Love it! 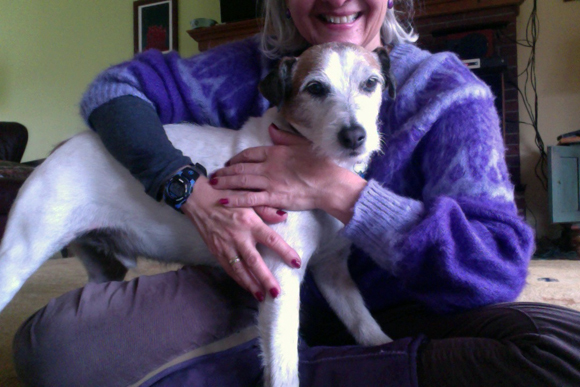 In our kitchen…. 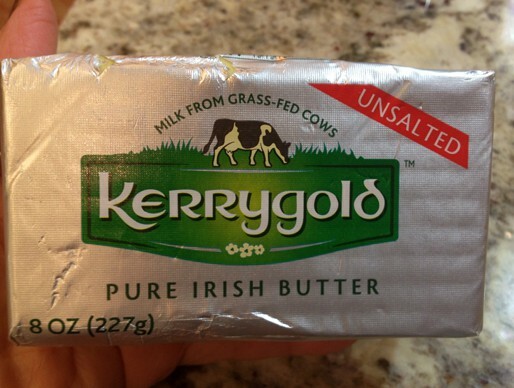 Pure Irish Butter… A special product that is much better than the regular brands sold at the grocery store. 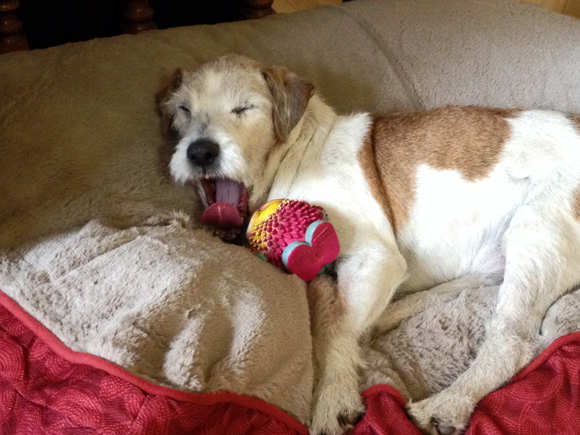 Plus, the wrapping is adorable… Recommended by Dorothy, from Shockingly Delicious. 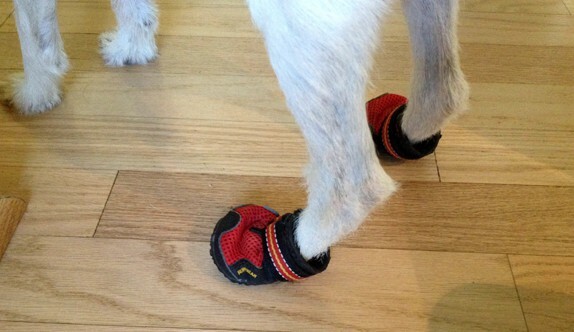 He also got a special gift from Aunt Cindy, a pair of booties that are helping him a lot, as our wood floor is too slippery for his arthritic legs. 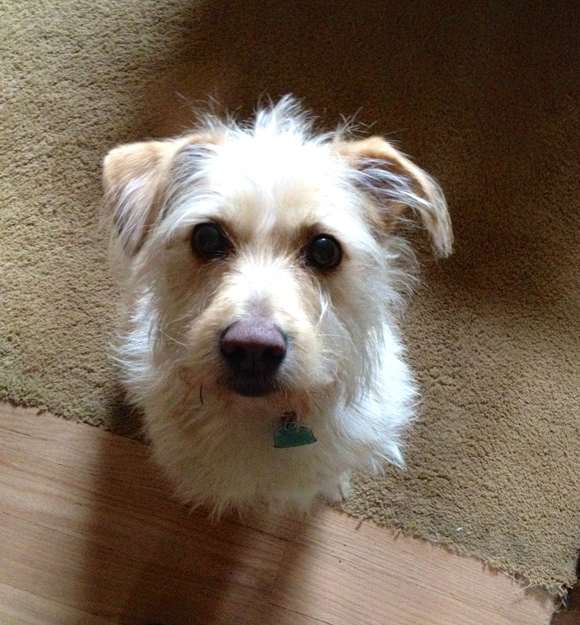 Oscar is a bit jealous of all the attention his brother is getting, but he knows that Mom cannot resist his begging eyes, and will end up giving him the cookie she is holding behind her back. May I have that cookie now, Mom? 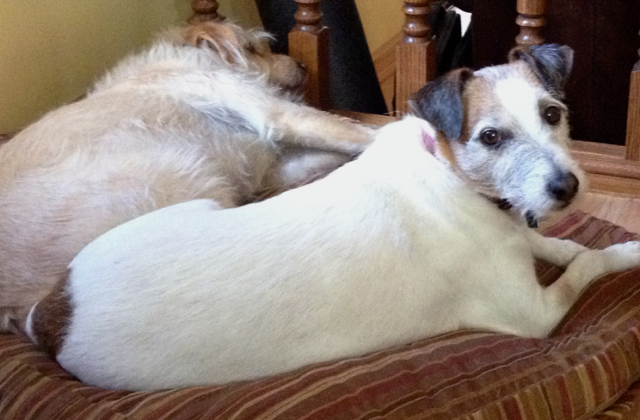 My second favorite activity is to relax with Mom by the fireplace when it’s too cold to go outside. 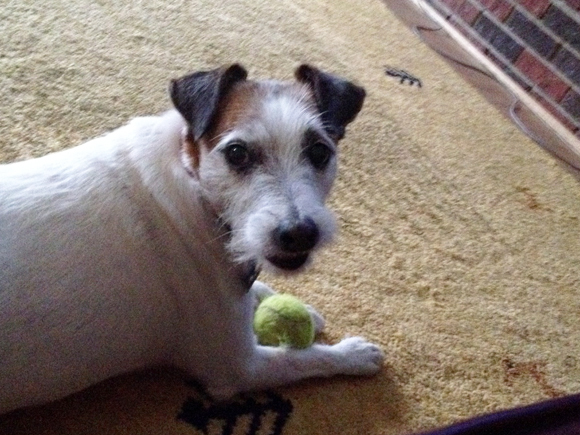 See how handsome I am? Not only that, but I am also conquering some of my fears, as you can see in a short video by clicking here. Celia, thanks for hosting this fun event! For my readers: if you want to take a virtual tour of kitchens all over the world, visit Celia’s site and look at the list of posts on her right side bar.